A man’s stag party does not always have to follow tradition. As a matter of fact, some men already know what they want to celebrate their last night of freedom. Kevin Kimmes happens to be one of those men. As an avid baseball fan, he already knew what he wanted for his stag do. For him, it was something that he put off for some time thinking that it was not really possible. Number 139 on “The Baseball Fan’s Bucket List” book is to “throw out the first pitch.” Read on to see if his dream stag do became a reality. Though this sport is not as popular in Europe as it is in the United States, everyone still knows about this sport. However, for Kevin, it was really the sport that he has known and loved for a very long time. That’s the reason why he bought that book. In the US, there are all sorts of leagues for baseball from Little League which are composed of baseball teams for kids up to Major League for professional players. In between, there are also other leagues that compete within their region. When Kevin’s brother found out what he wanted, he jokingly asked if his brother was aiming to pitch for Little League. He also said that the Brewers might not allow him to make the first pitch in their game just because he’s getting married. Kevin said that he was aiming to pitch for the Wisconsin Timber Rattlers instead. His brother was surprised that the Rattlers were willing to let him throw the first pitch. Kevin was given the chance to do so on Cinco de Mayo, no less. In addition to pitching, he got to keep the ball and got the signature of the game’s catcher. His dream was to have that special day spent doing baseball activities. That included throwing the first pitch at a game, tailgating, and batting at batting cages. Kevin Kimmes got the stag do that he wanted from the start and that makes his stag do a success. Other stags might not be into baseball as much as Kevin, but they surely have something that they are passionate about. Chances are, that would be football. Nowadays, there are a lot of alternative stag do activities that can even include a day at the stadium where one’s favorite team trains. Just meeting and greeting those football stars can already make some stags’ dream come true. As much as possible, the stag party organizer should find out about such things before planning for a stag night or weekend for the celebrant. Just like Kevin, the groom-to-be might have his own bucket list of things that he’d want to do before getting married. Planning for a stag night or weekend that the celebrant has always dreamed of having will make the whole affair unforgettable. That really is the way to go about celebrating a man’s last night or day of freedom. 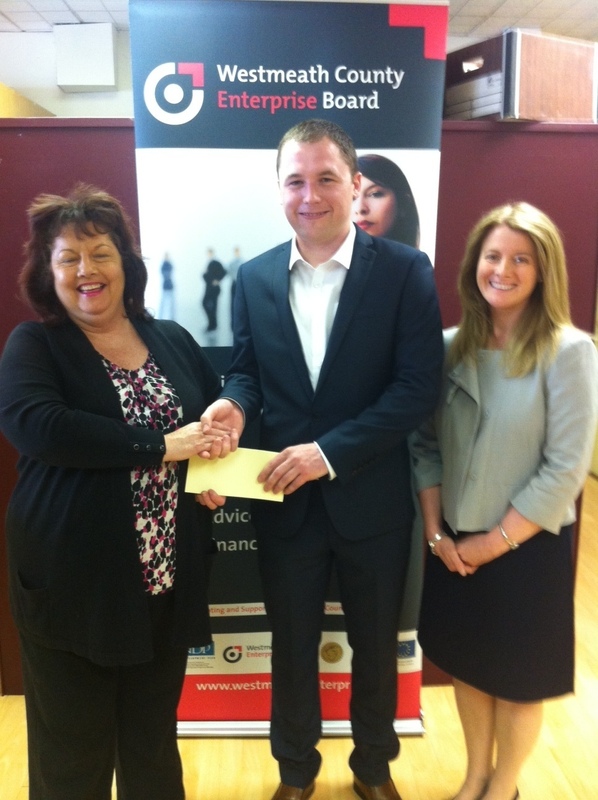 Stagit.ie beats off stiff competition to be nominated to represent Westmeath in the National Enterprise Awards. Westmeath County Enterprise Board are delighted to announce this years nominee for the 2013 County & City Enterprise Board National Enterprise Awards. Kinnegad-based online business, Stagit.ie has been selected to represent Westmeath in the next round of the competition which will see owner Dean Gammell compete with other business from the midlands region. If successful, Dean will represent Westmeath and compete against five other competitors to take the coveted County & City Enterprise Board National Enterprise Award. Established in 2009, Stagit.ie is Irelands’ first and only dedicated hen and stag event organiser. The business model involves offering customers a complete service in organising stag and hen parties. A wide range of locations and activities are available and all clients have to do is click which type of party and location they are interested in and Stagit.ie look after everything else. Clients can book events all over Ireland or if they prefer something a little further afield, options such as Las Vegas, Riga and Barcelona are also on offer. Group bookings can all pay individually online so no one has the responsibility to collect money and can focus on enjoying their stag or hen night. Over 10,000 people have benefited from the online service and have enjoyed stag and hen parties all over Ireland, the UK and Europe. Stagit.ie focus on high customer service and this is rewarded with group members coming back to book again having already enjoyed a weekend package. The excellent user friendly website has a fantastic offering for clients and as well as offering every type of stag and hen night, it also offers value for money with great deals on offer. The online facility means that organisers can book their weekend away 24/7 and organise the entire event with one click of a button. Westmeath County Enterprise Board congratulates Dean on the development of his business and wish him all the best in the forthcoming regional finals. The National Enterprise Awards were introduced in 1997 by the County and City Enterprise Boards. The competition highlights the contribution that small enterprises make to Ireland’s economic development and acknowledges their role in building a vibrant and successful indigenous business sector. Six finalists compete for an overall prize fund of €20,000. The competition involves 3 stages, commencing with the selection of a county representative organised by the local County or City Enterprise Board and the County/City winner progressing to a regional final and if successful onto the national competition where 6 finalists compete. The competition is independently adjudicated and the selection criteria involves employment potential, marketing strength, financial strength, innovation/technology and quality of business plan. A group of thirteen men were involved in a stag do insurance scam in Newcastle back in 2009. Once the scam was uncovered, all of the admitted fraud and said that they “bitterly regretted” the scam. Last month, a mini bus did crash as a hen group was on their way to a Liverpool hen party. That crash left eleven hens seriously injured and claimed one life. That’s why a scam such as this really is a bad joke. The thirteen men setup the whole crash scene between a car and a mini bus. When the paramedics got to the scene, everyone was alright. In fact, the “stag group” was found laughing, talking on their cellular phones, and smoking. They claimed that they were driving to a stag do when they crashed with the car. After a few minutes, it was like domino effect after one of them started holding his neck and said he suffered an injury because of the crash. The rest of them followed suit and said they had whiplash injuries. All of them were brought to the hospital where they were examined. X-rays were taken and some of them left with neck braces. However, after a few hours, they all had a rather dramatic recovery and were all fine after that. It turns out that both vehicles were already damaged before they were brought to the crash scene. The whole group just set it up as if they crashed into each other then and there. Two members of the “stag group” pleaded guilty to fraud. LeBlond pleaded guilty as well. The three of them are still waiting for their sentence. Get Ready for Summer or the Hen and Stag Do Season! It will soon be summer. Summer is the favorite season for a lot of folks to get married. Naturally, that means more stag and hen parties this May. That is good news for the local economy. According to an article on the Daily Mail, approximately £60 million will be injected into the local economy because of those parties. This is good news for the most popular hen do locations in the United Kingdom like Bristol, Brighton, and London. Of course, the most popular stag do locations in the United Kingdom like Newcastle, Bournemouth, and Nottingham can expect those stag groups throughout the month as well. Various establishments will certainly get a boost in sales this month. That will include pubs, restaurants, and nightlife establishments. Companies that are involved in travel, accommodations, and fashion will benefit from this influx of cash as well. It is interesting to note that the recession did not really affect the amount of money that people spend for these parties. In fact, it might come as a surprise for some that the average amount spent per person has even increased the past few years. It need not be said that summer is always good for those who are in the tourism, stag, and hen industry. A break from school for students will mean spending the holiday in various places as well. Alanis Morissette does have a song that goes so far as to say that rain on one’s wedding day is ironic. A person’s wedding day is supposedly one of the most wonderful days of one’s life. That is probably why summer is also the preferred season of many to get married. The sun is usually up and the chance for rain much lower than usual. June is also known as the start of the wedding season. That means, this May is peak month for all of those stag and hen parties. Those parties will continue on until the summer season finally ends. This is good not just for those cities mentioned earlier. As a matter of fact, the frequency of those parties will be good for all the popular hen and stag party locations all over the world. June brides and grooms should have their last night of freedom organized by now. If not, it is not too late, but the chances of getting everything in order gets lower as time passes. Why? That’s because a lot of those parties will be taking place this month. Moreover, one should also anticipate the huge influx of tourists in those areas. Summer is also the season for family holidays or trips. So, those who will be getting married soon should definitely have their stag or hen night organized at this point. For stags that haven’t booked for that trip, browse the website and start booking by choosing a package! Can this be true? Are stags really more sensible compared to hens when it comes to their stag night celebration? Hen nights do tend to be on the more extravagant side nowadays with days at the spa or hen weekends abroad, but some stags are also inclined to do such things. According to a survey conducted, almost a third of British men fall into the “sensible” category. However, a lot of hens will probably agree as well that men are more sensible when it comes to financial preparations for their stag do. What Else Does the Survey Show? The survey showed that thirty three of the men included in the survey had pre-planned budgets. What’s more, they were able to stick to that budget. Only twenty percent of hens can say the same. It also goes to show that women are not the best when it comes to saving money for such an occasion. Even so, more women tend to decline invitations to hen parties whenever they find it expensive. So, women do have finances in mind. They just aren’t that good with sticking to a particular budget. Also, women tend to go to such parties only when they are very close friends or relatives of the bride-to-be. The cost of hen and stag parties nowadays are at an average of £150. It did get a lot higher than the past few years. As a matter of fact, the price for such parties increased by more than fifty percent in the past five years. It is rather funny that even the decline of the economy did not do much to affect the expenses for these parties. In a way, a lot of men consider a man’s stag party to be sacred. So much so that they would prioritize spending more money for the stag night rather the wedding. The economic situation also proves that, no matter what their financial situation is, men will find a way to give their mate a proper send off. Though a lot of men still appreciate traditional stag parties with booze, women, and crazy antics, more men are opting to go paintballing, go karting, or clay shooting with their closest friends and relatives. Of course, the type of celebration will really depend on what the stag wants for his last night of freedom. Not so surprisingly, there are men that do not enjoy drinking that much. Another sort of party will be better for them. That’s fine since there are really other daytime and nighttime stag party activities to enjoy for stag nights or weekends. Stagit.ie is part of the DG Ventures Group, one of Irelands largest investment groups. Stagit.ie have in place a guaranteed fund with an independent third party which would be activated to cover travel bookings made by our clients in the unlikely event of our insolvency. We are the only hen/stag company in Ireland that offers protection of this level. It may or may not be what Marx meant as a vicious cycle, but history does tend to repeat itself. What does that have to do with stag parties? It does have a lot to do with it especially when one really looks at the history of how such parties came to be. Nowadays, most stag parties involve pranks that tend to humiliate or embarrass the celebrant. Though some men would be cool about such antics, not everyone will appreciate it. Stag parties are not meant to be traumatic experiences, but most organizers seem to think that coming up with more outrageous antics will make it better. As far back as 5th century BC, Spartans were already celebrating such parties. They would have a dinner for the stag on the night before the big day. They’d be drinking, eating, and toasting all night long. There could have been some sort of entertainment as well, but no “fun” at the groom-to-be’s expense. That tradition actually continued until the 1940s and 1950s. It was not until a few decades after that the usual dinner turned into a “party.” It was during that time that stag groups started to do virtually everything that’s forbidden once the celebrant gets married. Strippers, consuming lots of alcohol, and gambling replaced the dinner and toasts of the past. Without a doubt, most of people’s concept of “partying” is largely influenced by Hollywood and how celebrities party. Movies of bachelor parties served as the “ideal” party for a lot of folks. Though life imitates art and the reverse is also true, the result can be seen nowadays. Some even hit the news due to the nature of such parties and brawls that result from them. As mentioned earlier, most party planners try to come up with the craziest ideas that does not always take into consideration what the groom-to-be wants. That practice should not continue. That is also true for hen parties. Going back to basics does not equate to something boring. The reason why the celebrant’s wishes should be taken into consideration is because the whole event should be his idea of fun. Any activity that he enjoys with his closest buds should make the event fun as it is. If the traditional dinner and toast is not enough, a lot of stag groups also choose to enjoy certain activities that are not necessarily wild, but they are definitely fun. Popular stag do activities include paintballing, go kart racing, quad biking, and clay shooting. There are a lot of other nighttime stag party activities to enjoy as well. One does not have limit oneself to pub crawling and literally crawling from drunkenness.